Established in 1941, Brunelcare has undergone many transformations over the years to become the charity that it is today. Brunelcare has undergone many transformations over the years to become the charity that it is today. Its principles, to help people make the most of their lives, have remained the same throughout. 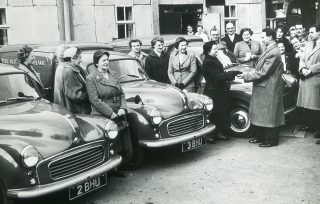 Committee founded in Bristol in October 1941, called the Old People’s Welfare Committee (OPWC), its key priority being to support Bristol’s older people in the aftermath of WWII to ‘keep them warm, keep them fed, keep them alive’. A letter arrived from the Secretary for the Colonies: the people of Uganda had raised £1,000 for charitable work in England and it had been agreed it should be spent on West Town House. 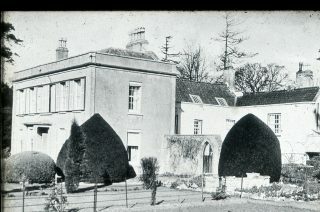 The mansion was renovated and renamed ‘Uganda Hostel’ (see photo), a ‘home for the able-bodied to live independently’. 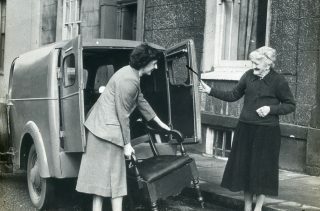 From 1964 onwards BOPW carried out an ambitious expansion plan, building sheltered homes throughout Bristol and by 1973 was providing accommodation for over 900 people. The charity also registered as a Housing Association at this time. In response to increasing age and support needs of their residents, the charity opened Saffron Court (now Saffron Gardens), St Johns Court and Robinson House. These were a new generation of care homes and St Johns Court was sheltered housing with warden-call support, an innovation. All encouraged more independence for residents. 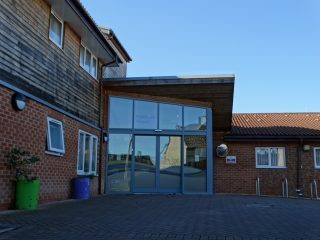 Opened in 1997, Robinson House care home (pictured above) encouraged people living with dementia, to develop ‘Dementia Care mapping’, changing the way care teams responded to those living with dementia. Charity renamed Brunelcare, to recognise its wider reach across the region. 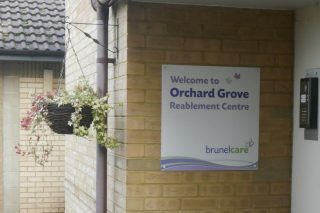 Orchard Grove Reablement Centre opened. 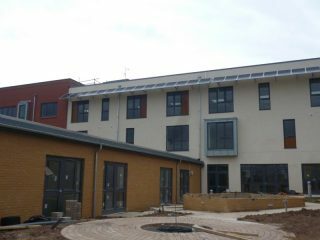 The first dedicated centre in Bristol providing short-stay reablement to people discharged from Bristol hospitals. Brunelcare is now a sophisticated and diverse charity offering a variety of care services and many different types of accommodation for differing levels of need. It continues to support over 1,000 people in their own homes, has over 1,000 sheltered and extra care homes as well as four nursing and dementia care homes, with another care home and reablement centre, Little Heath, due to open in 2020.